Please join us October 22, 2015 at the home of Ann Yoshida for the movie Pricele$$ being shown in conjunction with the Money in Politics study. 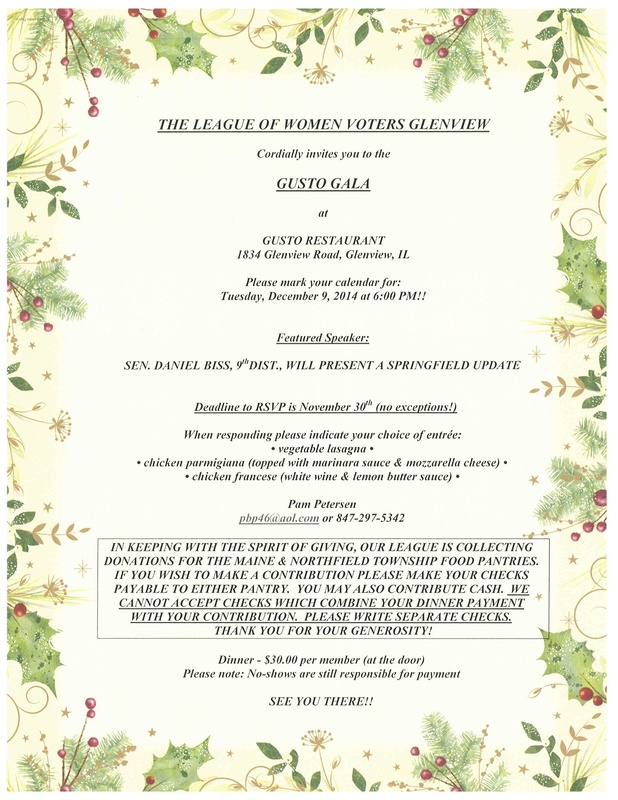 For up to date news, please visit glenview.il.lwvnet.org. Thank you. The Leagues of Women Voters of Glencoe, Glenview, Wilmette and Winnetka-Northfield-Kenilworth held a consensus meeting and decided to support the New Trier School District 203 facilities referendum on the November 4th ballot. 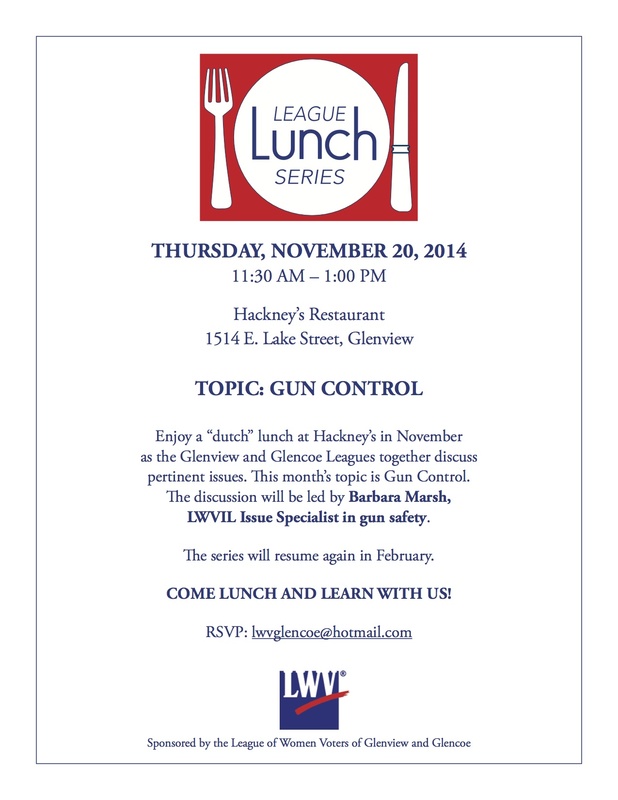 While all Leagues of Women Voters are non-partisan political organizations, there is a formal process for evaluating, and determining positions on, any local, state or national issue. 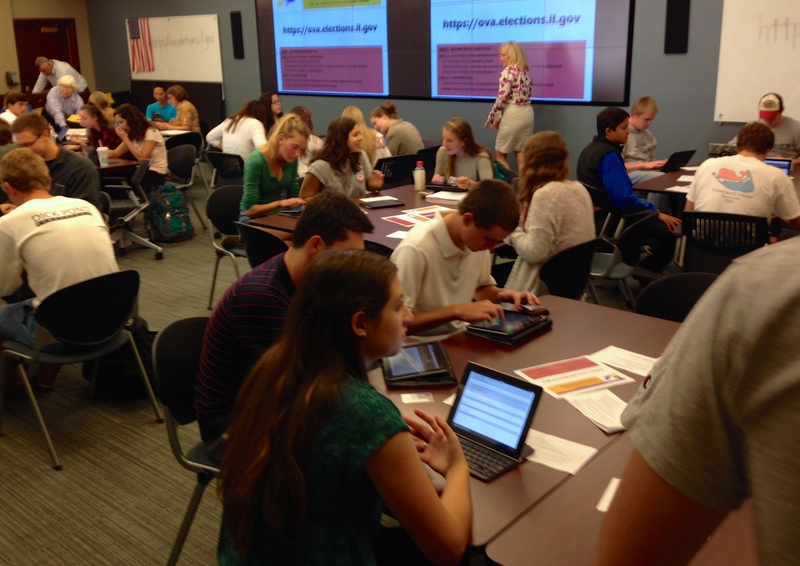 This fall a Joint Committee comprised of members of the four Leagues within District 203 researched multiple aspects of the proposed referendum. The Joint Committee and League membership met Wednesday, October 15 at the Glencoe Community Center to review the research and discuss the issue. Following the presentation by the Joint Committee of their report and a discussion period, each League met separately. Each of the four Leagues voiced support for the referendum, which asks voters to approve a tax rate increase that would allow the district to issue $89 million in bonds to replace three buildings on the Winnetka campus. If residents of the school district approve the referendum, it would mean an increase of $16.67 for each $1,000 of current property taxes paid. For a resident with a $15,000 tax bill that would equate to a $250 increase. The New Trier area Leagues of Women Voters taught New Trier students how to register online in order to vote at the election on November 4.